Through the latter part of the 1500’s and first half of the 1600’s, the Halland district was a province of Denmark. In 1595, the farm on the site where the castle now stands was purchased as a residence for Danish King Christian IV on his visit to Halmstad. It was under his authority that the castle was constructed. Construction on the castle and nine adjoining lots began in 1609 and likely finished in 1615. Construction Manager and architect the Dutch architect, Willum Cornelissen. The design of the castle is typical for the period in a style known as Christian IV Renaissance. It is more reminiscent of Danish country houses of the time than an elegant royal palace. With the 2nd Treaty of Brömsebro (1645), and finally the Treaty of Roskilde in 1658, the castle came under the authority of Bengt Christoffersson Lilliehook, the first Swedish governor of Halland. 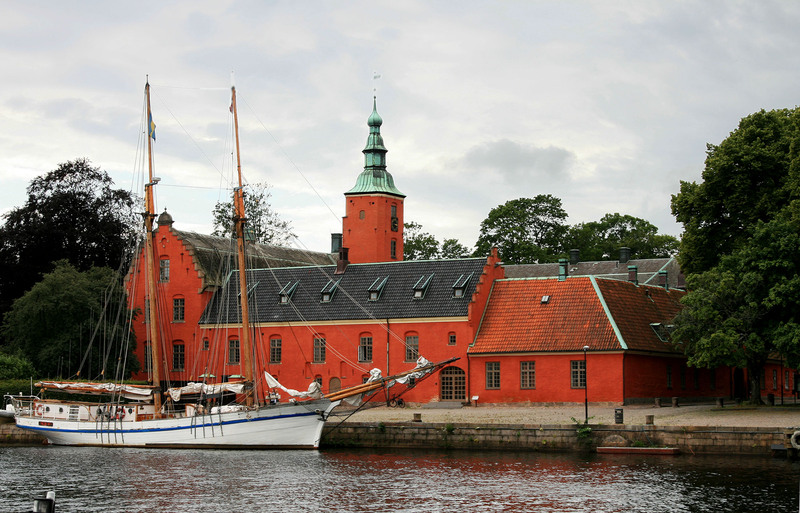 When the province became part of Sweden, the castle became a resident of visiting Swedish Kings. The Swedes reinforced the castle and in 1658 an inner fortress was finished. From 1770 to modern times, the castle has undergone a number of restorations. Today, it has become the traditional residence of the governor of Halland Country.